Manage, edit and review all of your SEC filing documents through a single product suite. 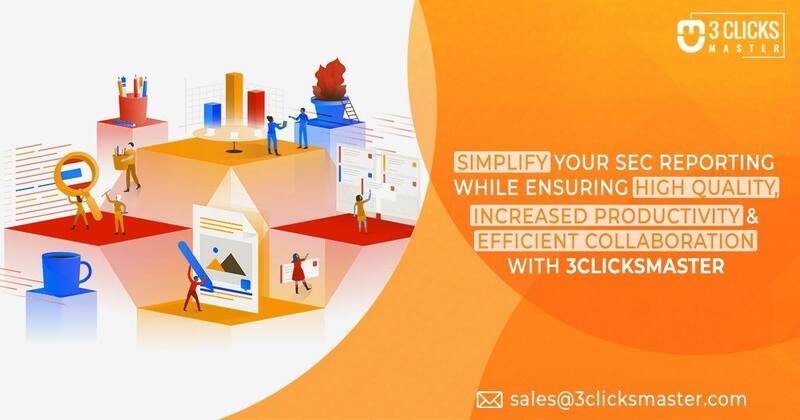 Streamline your XBRL and EDGAR documents, publish proxy statements quicker and export your financial data to an accounting software seamlessly, all with 3ClicksMaster. 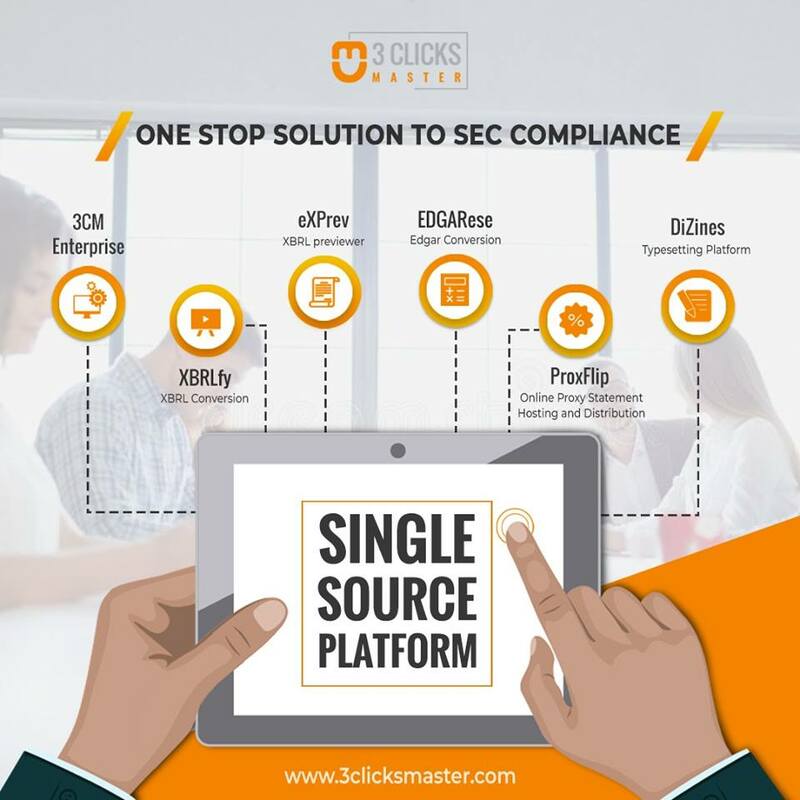 3ClicksMaster offers SaaS-based solutions that simplify the SEC compliance filing process and also cater to the end to end requirements of the publishing industry. 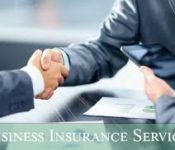 Our robust cloud-based tools are specifically developed to cut down your costs and time.